Everyone knows the famous song by Geno D, "Inagua", being the best kept secret in town, but did you know that there is another? I'll get to that in a moment. As I reflect on my life thus far, I must say how happy I am to be Catholic. The question I find myself asking though is "would I have considered Catholicism if I was raised protestant or some other religious affiliation?" Even those Catholics who leave the Church find themselves hungry to return because of the Eucharist. Lack of knowledge about the Faith can raise many questions as to whether the Roman Catholic Church is who it claims to be, the Church founded by Jesus Christ. I am convinced that if we are given proper instructions from youth, we will stand firm to our beliefs and be not intimidated to stand and process our Faith. 1Peter 3:15 "Always be ready to give an explanation to anyone who asks you for a reason for your hope." Being Catholic is more than just having a Rosary hang from the mirror in your car. Even the protestants admire them and find it fitting to hang them as well. How many of us actually take the time to sit and pray the Rosary? As awful as our roads are today, we can spend an average of 30-45 mins to get from point A to point B. Have you ever considered taking down your Rosary and praying it during your drive to and from work? I try not to leave home without my Rosary, not because I believe it to have special powers, but rather it gives me comfort and it helps me keep my eyes on the prize "Jesus", when I am confronted with daily challenges. 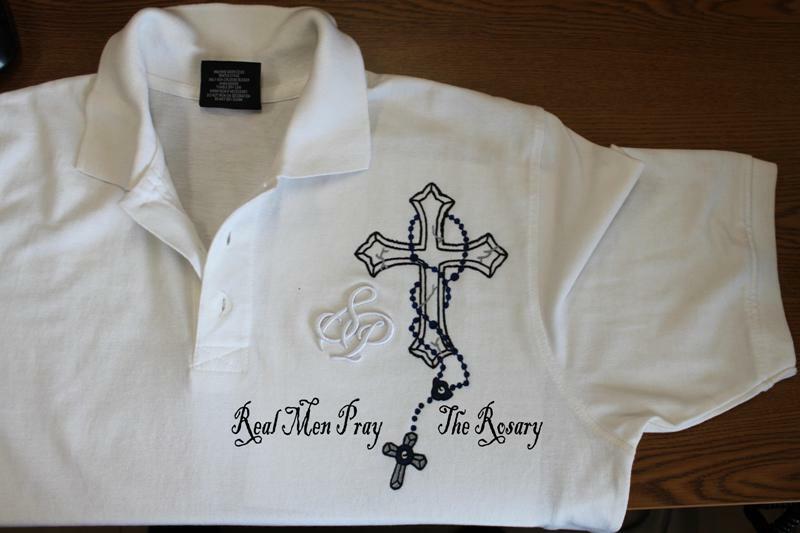 I challenge anyone today to either buy or have a shirt made that says: "I Pray The Rosary". You're probably thinking I must be out of my mind. Actually that's small things. 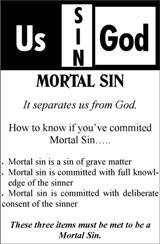 I can just imagine how those who were with Christ must have felt when He told them that they must eat His flesh and drink His blood..."Say What Now? By professing your faith externally, we are saying that we are proud and believe in what the Catholic Church teaches. So what are you waiting on, get those shirts on! Proclaiming the Gospel of Jesus to people we encounter is everyone's responsibility. We are all missionaries for the Church. 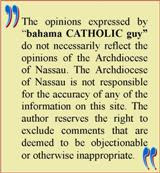 Don't be afraid to profess that you are Catholic. The Church has been around for 2000 years and has had its share of scandals, but as our first Pope was promised in Mathew 16:18 "And so I say to you, you are Peter, and upon this rock I will build my church, and the gates of the netherworld shall not prevail against it." Let's look at governments or schools today as an example that nothing is perfect, but headed by the right steward can keep the ship afloat. Do we forsake our country because we do not agree with the way a government is running the country, or switch schools every time we disagree with the Principal? As the saying goes, the grass always looks better on the other side, but is it really. 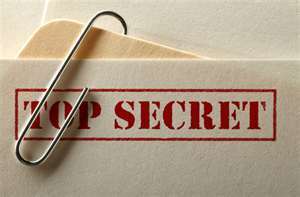 So remember that there is no perfect Church and the Catholic Church does not claim to be; however, I'd take my chances with the ship that has the least amount of leaks. 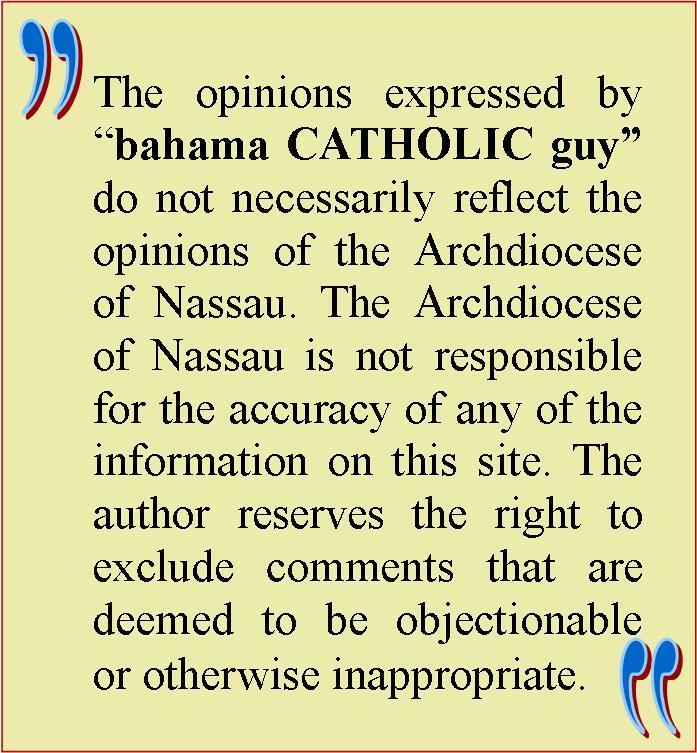 Statistically the religious denominations of The Bahamas are broken down as such: Baptist 35.4%, Anglican 15.1%, Roman Catholic 13.5%, Pentecostal 8.1%, Church of God 4.8%, Methodist 4.2%, other Christian 15.2%, other Protestant 12%, none or unknown 3%, other 2%(The 'other' category includes Jews, Muslims, Baha'is, Hindus, Rastafarians, and practitioners of Obeah). With such a small percentage of Catholics locally, right away we can see that the Church is not about gaining members to just increase numbers, but rather bringing souls to Christ. This is not only the job of our Priests and Religious, but rather, we are all missionaries through our baptism; and together we can make a difference. I am always in awe that no matter which Parish I visit other than my home Church we have such a special gift of being able to hear the same Gospel preached and at the same time, while sharing in communion with Christ through the Eucharist. To me, this is "the best kept secret in town" and through our mandate as Christians we should be sharing our faith with others that they too may be transformed to encounter the love of God. As confusing as the world is today, people everywhere are searching for something different. Make a difference in someone's life today by sharing your knowledge of the Catholic Church and God's unconditional love for all of us.